A seasonal skincare switch up is essential when we reach the Autumnal months for both day and night. The cool dry air can leave our skin feeling and looking parched, therefore we need, no our skin craves for some extra hydration and moisture. We require that little extra TLC in the cooler months, whereas in the summer months we need a little more protection from the sun, but fast forward to Autumn our skin can become dry and be more subject to breakouts, I know I have seen a change in my skin's health, have you? For me, especially when I wake my skin can look a bit my duller and lifeless, so it's important that I can help boost moisture into my skin overnight, so finding some great darling some products to help restore moisture, calm and radiance in to my skin, whilst working overtime overnight to aid the process of regeneration and rejuvenation, helping it look healthier from night to day. 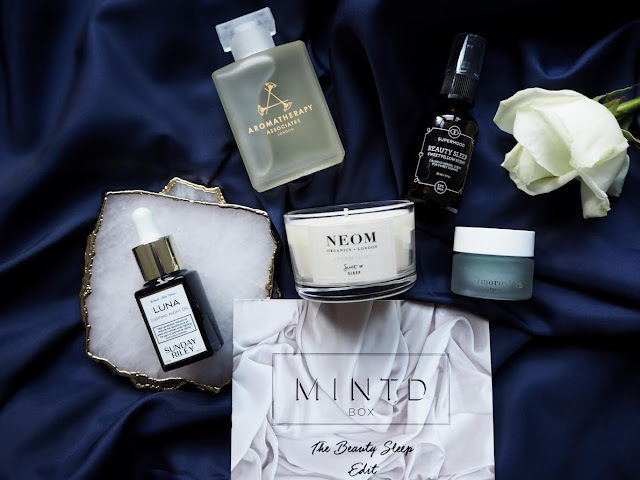 When faced with a dilemma on what to use for your nighttime beauty routine, look no further this month than to MINTD Box. This months edit is all about perfecting night time beauty sleep, with products formulated with active ingredients, natural oils and aromatic and therapeutic scents, perfect for the Autumnal months, assisting in relaxation and the preparation for a good nights sleep. 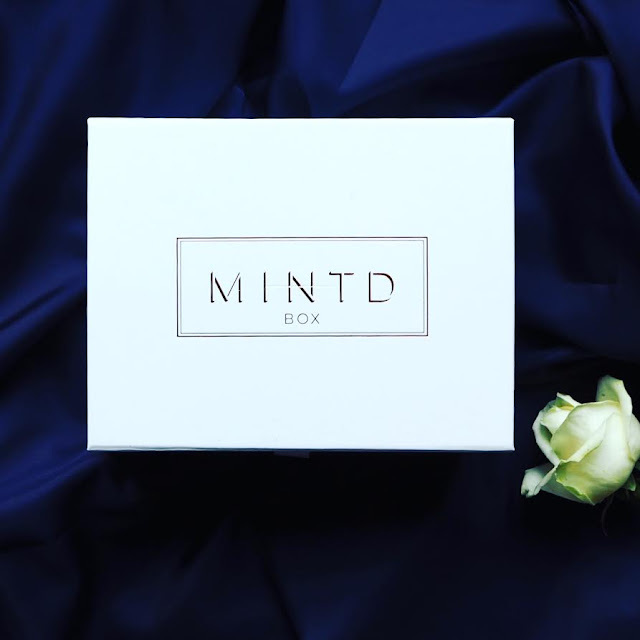 So sit back grab a cuppa and a cosy knit and let us get stuck into what is inside this months MINTD Box. Nothing makes a home, mind, body, and soul feel more relaxed than with a candle burning. This Neom, English lavender, sweet basil & jasmine plus 16 other essential oils all blended perfectly together in this Tranquility scented candle is perfect to unwind with 20-30 minutes before bed, this luxurious candle's fragrance just oozes pure luxury. 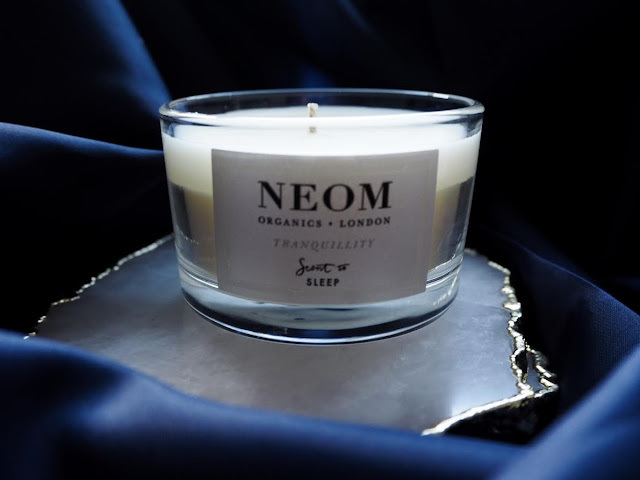 I like to light this before going to bed, whilst relaxing in the bath and filling the whole house with its desirable scent and this little beauty burns up to 20 hours. Aromatherapy Associates is a brand that I am extremely familiar with and love dearly and this light relax bath and shower oil, currently takes centre stage in my bathroom, high up enough from Leanora's little toddler fingers. 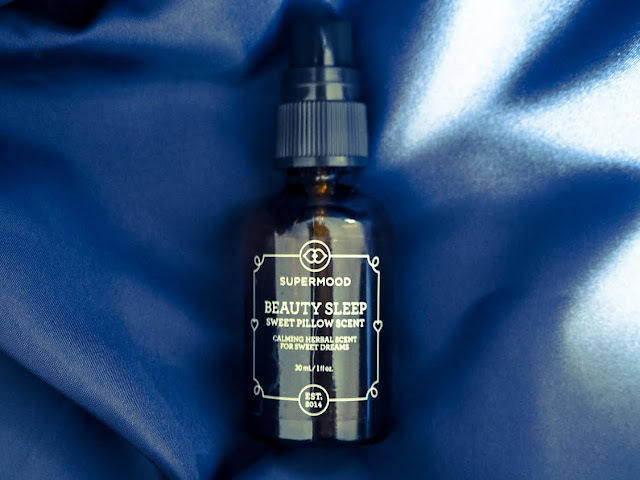 The perfect oil, a few drops needed only to help aid a peaceful and relaxing nights sleep, after a busy day, plus it leaves the whole bathroom smelling like heaven thanks to the restful powers of Lavender, Ylang-ylang and Petitgrain ingredients. Once out the bath and moisturised, I spritzed Supermoods, sweet pillow scent over my pillows, honestly with all the gorgeous aromas, filling your home, it truly feels like you have brought the spa into your home. 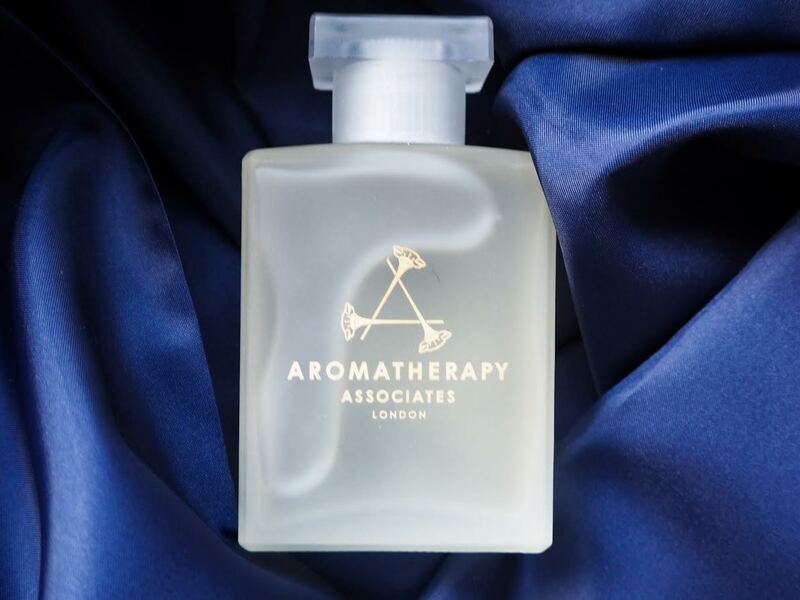 A light spritz goes a long way, I like to close the door once I have done this, to not let any of the aromatic scents leave the room, as I find that helps me have more of peaceful and tranquil sleep. 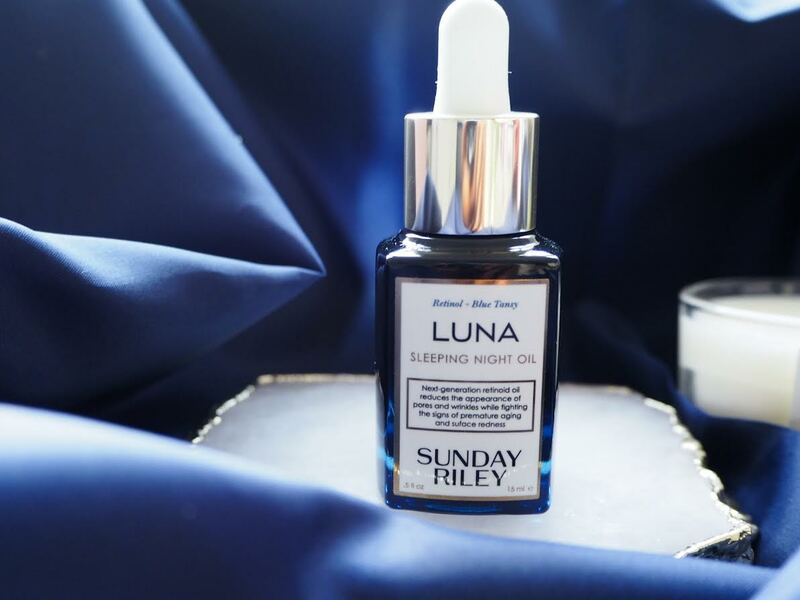 The piece de resistance, out of this whole box and something I have been dying to get my hands on, is Sunday Rileys, luna sleeping night oil! A little thicker than most, but totally not greasy at all, it is formulated with a derivative of trans-retinoic acid to minimise the appearance of pores, loss of elasticity and slow the development of wrinkles, I use a few drops once my cleansed face and allow it to soak into my dehydrated skin. I've been using this for 2 weeks and I have to say I have noticed a difference in the appearance of my now glowing and nourished skin when I wake. 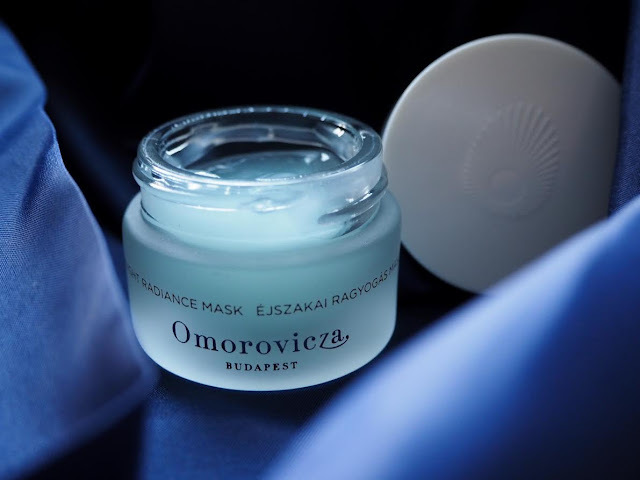 Omorovicoza is the perfect at home facial wonder and any beauty lover would certainly agree. Applied 2-3 times a week, only a little is needed and the gel-like consistency helps calm and plump skin and trust me when I say when you wake in the morning your skin looks amazing, my skin looked more balanced and radiant. Plus a little tip thanks to Leanora, I went on a hunt for this last Friday after I went out and found it in the fridge and thanks to miss sassy pants, my skin was glad for it, the perfect travel-sized companion. Overall, I have to honestly take my hat off to MINTD Box this months box is super exciting and I am loving all the products and brands in this box, it truly did not disappoint, I know I say it each month, but hands down guys and gals, get your beauty hands on this box for £65 is a total daylight robbery for all the right reasons. I have to say a big thank you for MINTD for working with me on this months box, honestly I've had the best nights of sleep the past few weeks and looking forward to tonight, as I've no Leanora, so Mumma is gonna have a glass of wine and enjoy these products all over again, roll on 5 pm! I'd love to know if you have tried this month's box and what you think thus far, or maybe if you've not bagged the box, which ships worldwide for free on your first box order with the code WELCOME17 what you think of the products? I would love to hear your comments below.